The GI news [http://ginews.blogspot.com/] arrived yesterday as always on the first of the month. 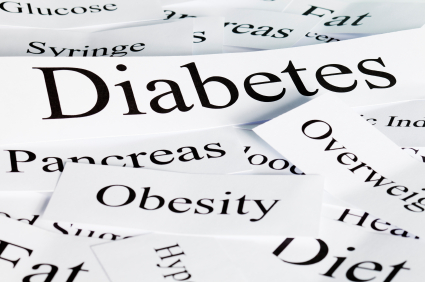 Diabetes and its treatment through lifestyle and diet, is central to its raison d’etre. Based in a research unit at the University of Sydney, Australia, it’s an excellent monthly newsletter–easy to sign up for and free. It includes discussion of current attitudes to health issues related to diet, with the concept of GI–Glycemic Index as a base. Articles this month include: “Reduced fat intake may reduce diabetes risk without weight loss” and Prof Jennie Brand-Miller, a leading authority on GI, on “insulin sensitivity”. There ‘s a recipe feature included each month. Dr Alan Barclay [http://ginews.blogspot.com/2011/07/gi-symbol-news-with-dr-alan-barclay.html], the resident medical expert, expresses his view of the recent study by a research team at Newcastle University in the UK, which was the subject of one of my recent posts [https://robinellisdotnet.wordpress.com/wp-admin/post.php?post=2365&action=edit]. The study had been headlined in the press as a “Cure for Diabetes” through a restricted diet. Dr. Barclay is sceptical. I enjoy receiving this newsletter and usually find something helpful in it. Have you heard of Dr Jim Mann and his work on diabetes? http://nutrition.otago.ac.nz/staff/mann. Thank you for that, Dilys. I wasn’t aware of Dr. Mann’s work. I shall get his book. Is Type 1 in your family background?–it seems likely. I’m learning more every day doing this blog–I’m so happy to know about Dr. Mann. My husband (ironically) worked as a biochemist on Type 2 medication for several years and Dr Manns book was purchased pre-diabetes as a ‘wholefood’ cookbook, before daughter 1 developed Type 1. Daughter 2 now also has diabetes – but diabetes had not been in our family before then…. Pleased to say both live life to the full regardless of the nuisance of insulin/hypos etc. ! Their ability to” live life to the full” says much for them and for you and your husband. Your daughters by their example are helping others. Two children with diabetes and no family history is unusual isn’t it? I recall when daughter 1 was diagnosed and we found a leaflet saying “you have joined a club you didn’t want to join” – and indeed we had, and have found many dear friends through the world of diabetes. Myself and daughters work as volunteers for Diabetes UK family events for newly diagnosed families, and as I introduce myself to about 80 people as “a Mum of 2 girls with diabetes” I can see the look of shock/horror on the faces of the other Mums who thought having one child with diabetes was their worst nightmare – but in fact there’s about a 6-10% chance of a sibling developing the condition. Sorry – I could bore for England on this topic! I’ll stop now…..
Robin, thank you for continuing to share what you are learning on this journey. My father passed away recently after living several years with diabetes and emphysema. His commitment to getting out of bed each day and living life as fully as he could still inspires me. Your work inspires me too. When I visit Mom now the house is half empty. This time at least we’ve had some Poldark episodes to enjoy together. Thanks for both of these things.